A long time ago, I designed my wedding. 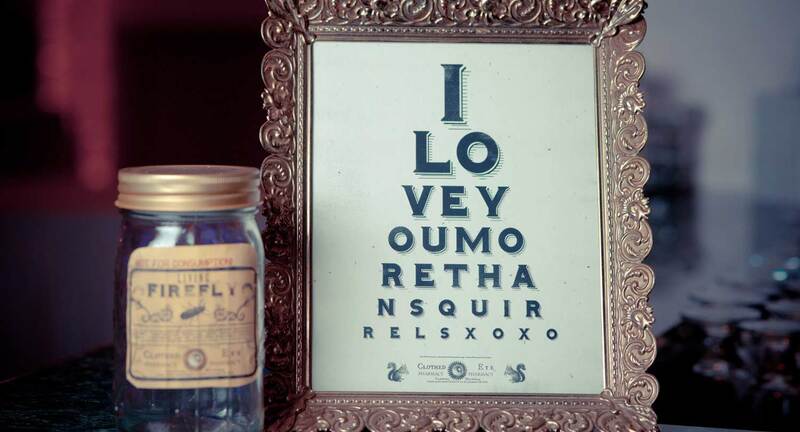 From the invites, center pieces, to a custom photo booth, operated with a telegraph key. The invitations and other printed materials carried a theme of “You were here”, from the initial RSVP cards that said “Say you were there” to the final thank you’s with “Thank you for being there”. I’ve been working on a costume for Theater Bizarre. I think that the best description for it is “Cyberpunk Plague Doctor”. It began life as a gas mask and garbage picked motorcycle armor. LEDs are supposed to arrive today. For as long as I can remember, I’ve always collected things. Rocks, Sea shells, Napkins, Comic books, and even domain names. At one point I owned over 150 domains, some just for fun, others reminders of stories I need to still write. One late night I heard the phrase “naked eye” and it made me wonder, if an eye can be naked, then it also could be clothed. I checked and no one had yet registered the domain “clothedeye” and thus was born this site. The domain remained dormant for years before I discovered steampunk. 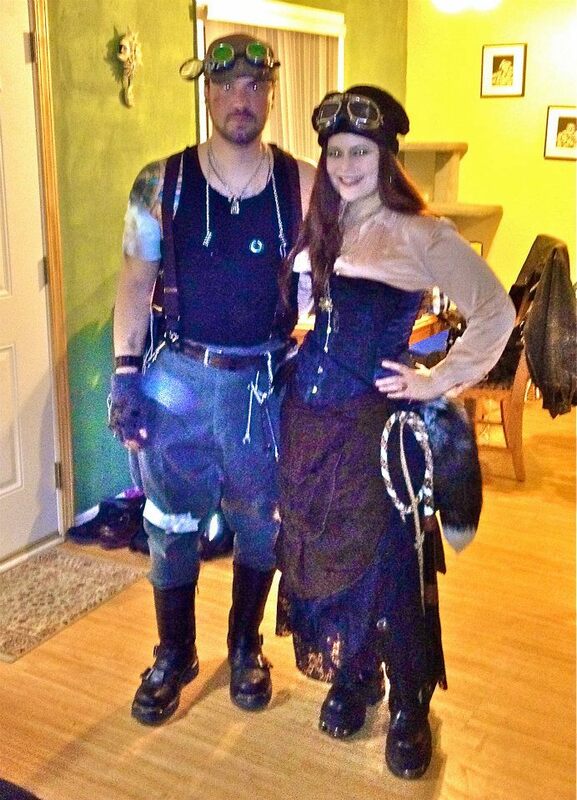 On an early date with the woman who would become my wife, I attended a steampunk event in Detroit. I knew very little about it but the aesthetic immediately appealed to me and I threw myself into making an outfit, to impress her. Over the next week I spent a lot of time at the local hard ware stores and online, buying all sorts of interesting items. 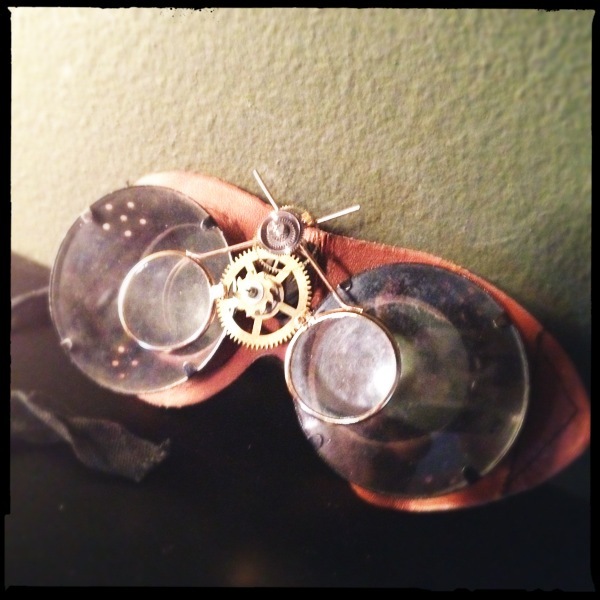 My first outing into the steampunk world saw me as a mechanic, with a pair of goggles that I modified myself, and the obsession was born. Something about goggles really resonated with me. 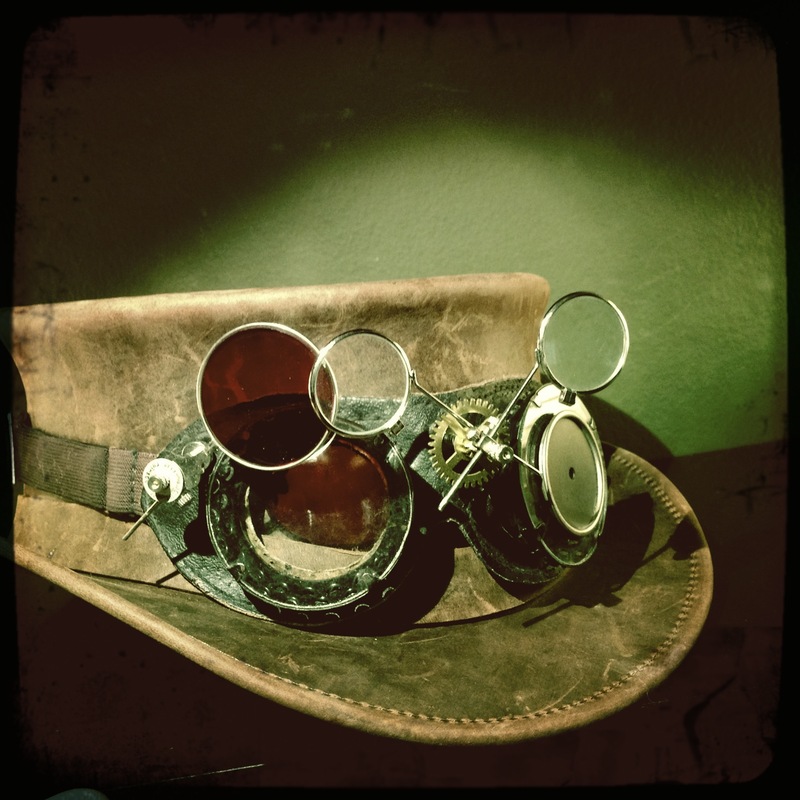 I was not impressed with what I was able to find online, it seemed they were all made from the same base pair of welding goggles and not a lot of variety or thought went into them. The date went great and I met and saw a lot of people that inspired me to start making my own goggles. The name Clothed Eye was a perfect fit. 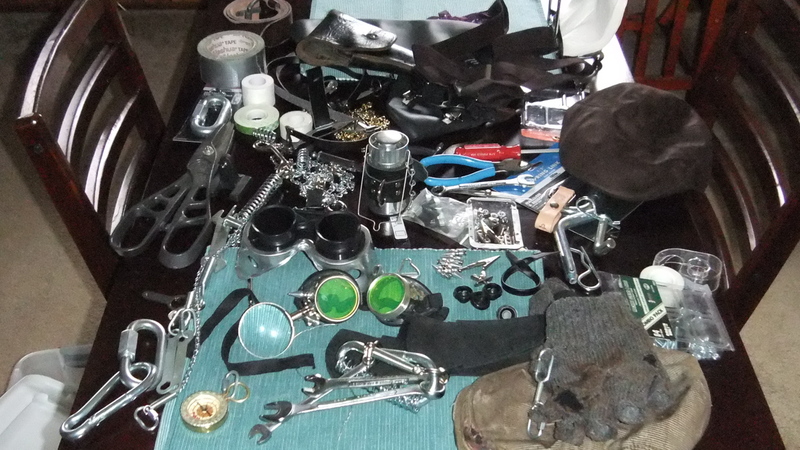 I turned my basement kitchen into a work area and began crafting goggles like a mad man. The first pair sold within a few days of listing them and I was off. 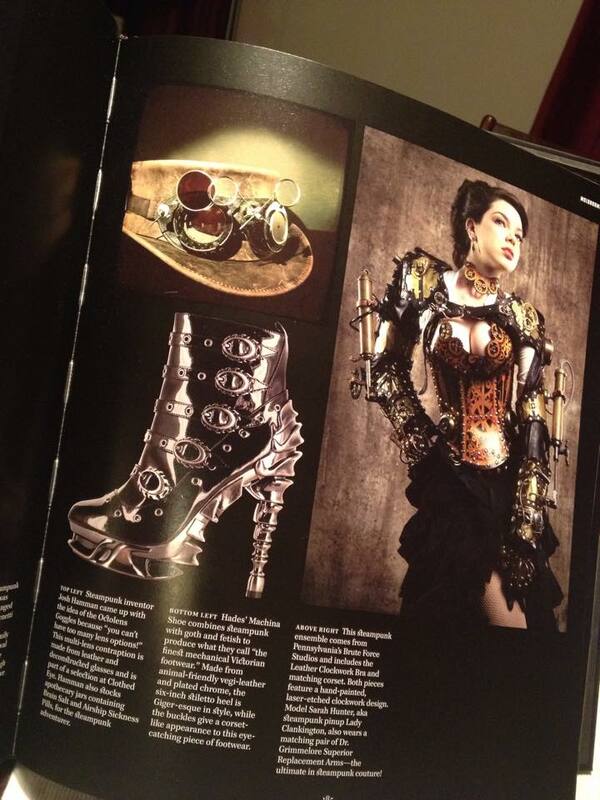 Steampunk for me has become a great outlet for my creative energies. The incredible broadness of what you can make is immensely satisfying as a maker. 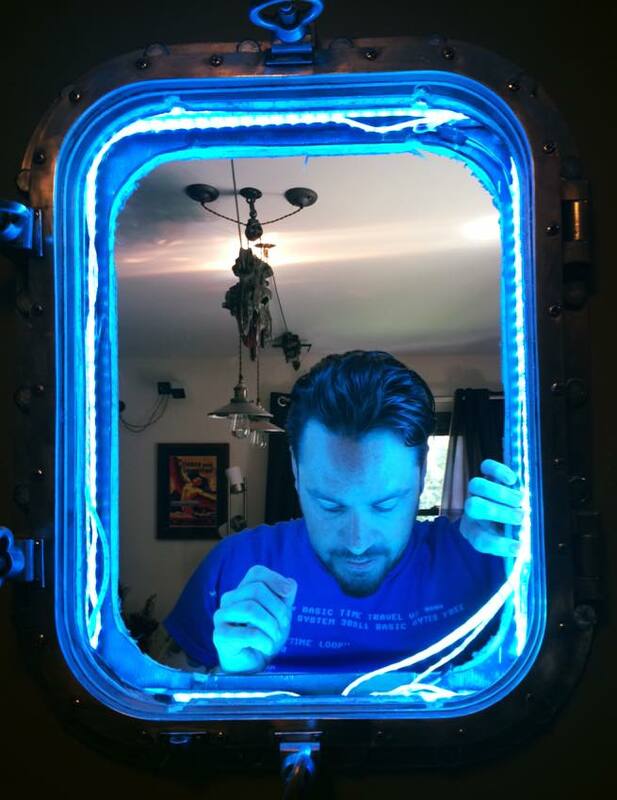 Our wedding was steampunk themed and I designed/planned almost every aspect of it, from the apothecary jar center pieces to a photo booth that used a telegraph key as the button. 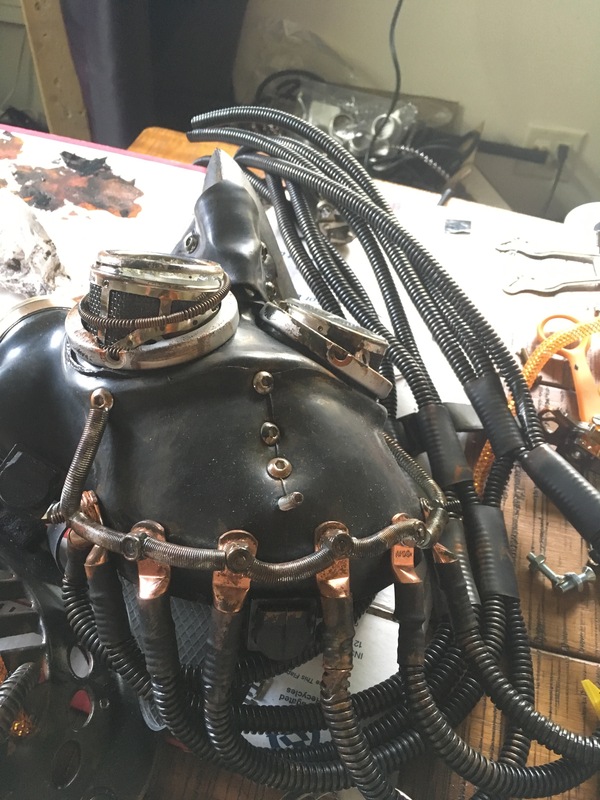 I crafted a wrist communicator device that was used for reference in the steampunk comic “Westward” as well as supplying goggles. My next planned projects are a few guns which is something I haven’t tried yet. I’m looking forward to getting back to crafting and always enjoy seeing what other brilliant people continue to come up with. We have been remodeling our kitchen, so my steampunk activity has been nonexistent. 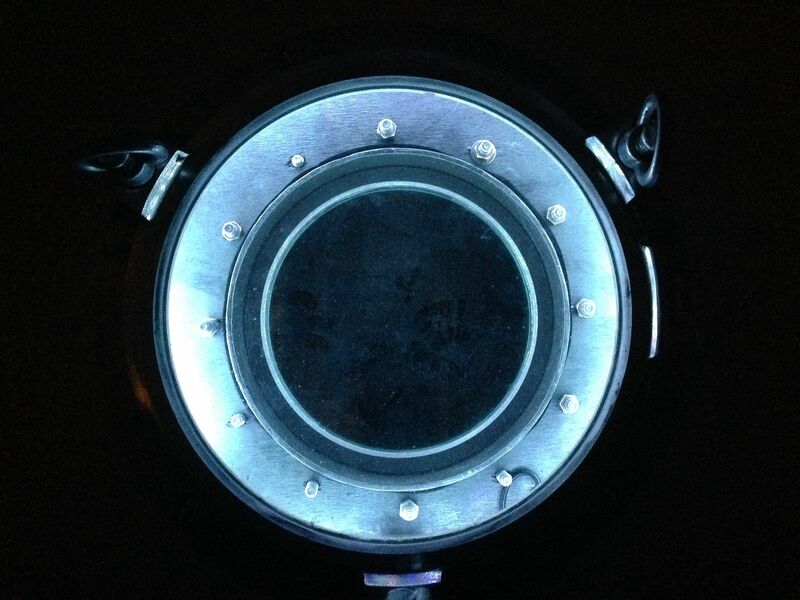 We did put a porthole in the kitchen wall where a window was, so that kinda counts right? Just letting anyone that visits know we are still alive and around. Once the basement gets cleared out, again, I hope to get back to some crafting. I have parts to create some guns that I’m looking forward to creating. An absolutely beautiful skeleton watch with an octopus on it has been making the steampunk morning rounds today. I dug around a bit more to find out exactly what it was. 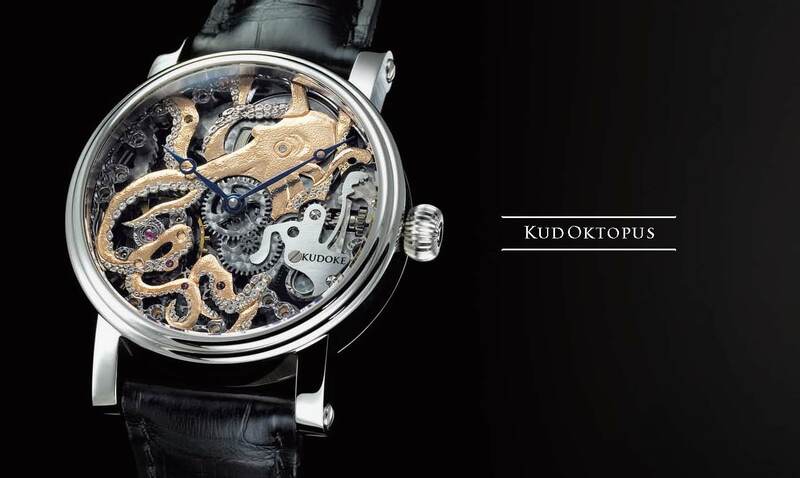 Its known as the KudOktopus from german master watchmaker and engraver Stefan Kudoke. Stainless steel, gold, rhodium and aligator leather make it a very unique piece. Unfortunately it’s rarity makes it $9,860. I think I may have posted these before, but they are really cool. Growing up with Star Wars the AT-AT is still one of my favorite toys ever. 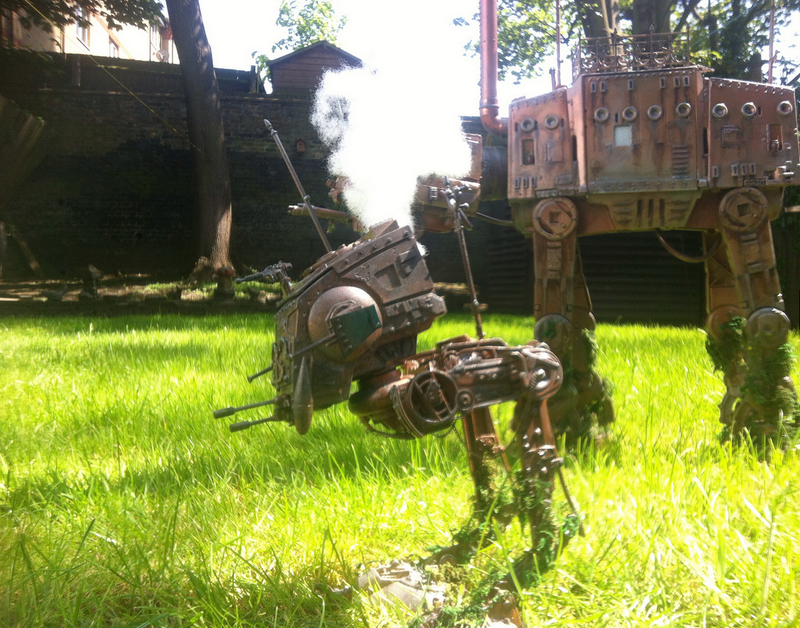 “Captain Bayley” has taken an AT-AT and the two legged AT-ST and given them a brilliant steampunk treatment. Take a look at the flickr for more amazing photos. I really need to get cooking on my Optimus Prime creation! 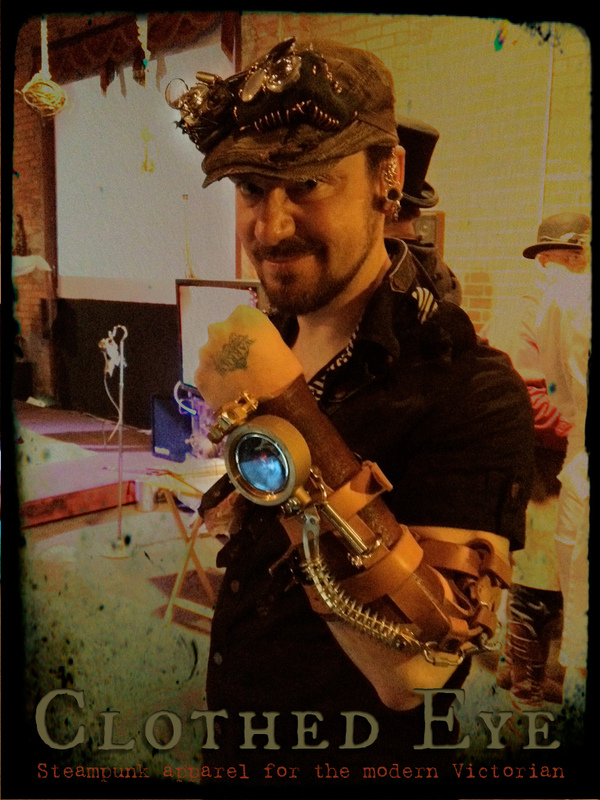 Steampunk seems to be taking over everything this year. How can you help you ask? How about turning that boring old Mr. 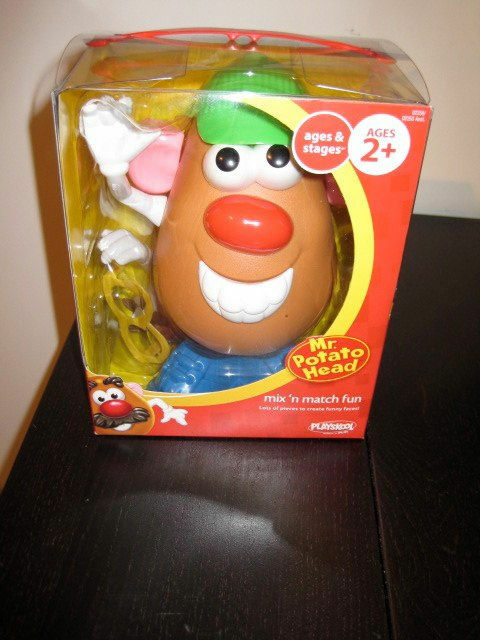 Potato Head into a more steamy spud? Follow the steps over at instructables.com and you can soon be the proud owner of a mechanically enhanced potato! Remember to give his mustache a nice curl! 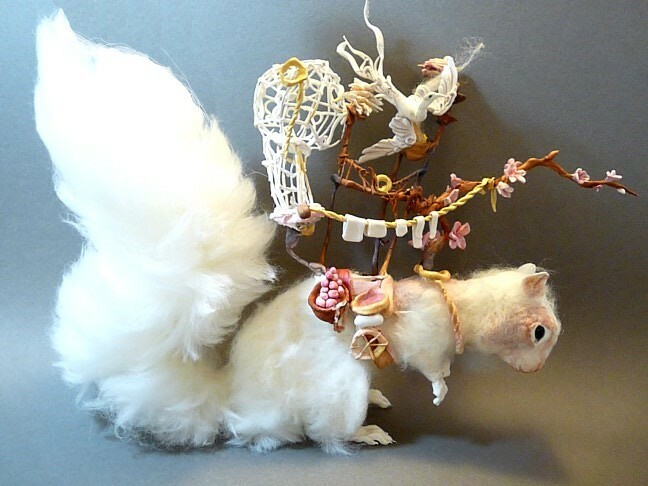 Some absolutely amazing handmade ‘creatures’ from Ellen, (thus Creatures from El) From brilliant dragons to steampunk otters everything in between. Visit her Esty shop here to request your own one of a kind creation.